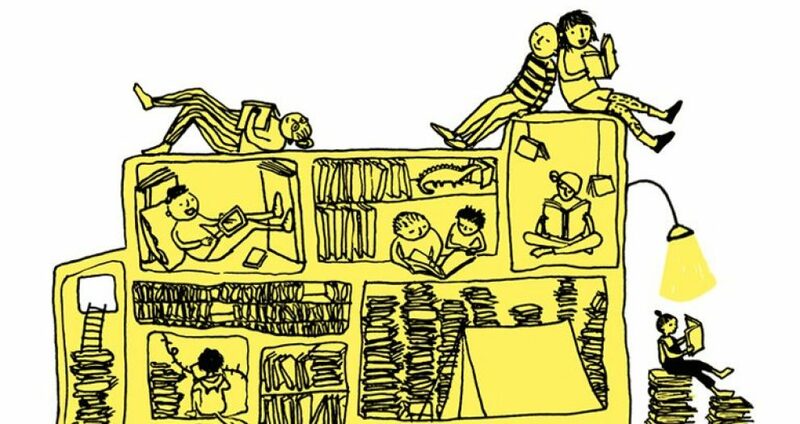 It is striking how different book groups organise themselves. Take, for example the two that meet in Putney and Roehampton public libraries. They seem to be alike. Both are in the London borough of Wandsworth; they are about a mile and a half apart; within walking distance of one another. They meet monthly, are overwhelming female in membership and both have professional librarians making reading suggestions and facilitating discussion. There similarities end. Readers in the Putney Library group follow the standard practice of picking a book which they all read and then discuss. The books chosen for deliberation are usually those that have attracted positive press reviews and include novels short-listed for major literary prizes. The discussions that follow are reminiscent of university seminars. In contrast, members of the Roehampton Library group each individually select a novel to read and then discuss their choice with a view to convince fellow members that their choice of book is worth reading. Roehampton readers are much less likely to restrict themselves to fiction endorsed by recognised literary critics and commentators. While Roehampton’s reading would include science fiction, horror and historical family sagas, Putney’s would not. Individual interviews with members of both book circles provides evidence of important variations in their past lived experiences. The Putney group are in the main retired from occupations that involved critical discussion and most recall working in some capacity or another as professional readers, including teaching. In contrast, most of Roehampton’s members have been employed in a range of unskilled or semi-skilled occupations with periods of unemployment. Some remember coming late to literacy and then making up for lost time by voraciously reading later in life. Attribution (CC BY-NC-SA 4.0) Mark Pack, Putney Library, 2010. The individual life histories are in tune with statistical surveys undertaken in the Borough. Putney’s library sits at the centre of East and West Putney, with East Putney being one of the more affluent wards in England. Roehampton in contrast houses the much less well off. Since the inter-war years Putney’s residents have been traditionally drawn from the higher professions, including today’s elite of bankers, entrepreneurs and footballers. E.M. Forster and Nigel Williams are on the area’s long list of former and current notables. While Putney has retained its open green spaces, and remains popular with runners and cyclists, Roehampton’s once similar landscape underwent dramatic change in the twentieth century. The ward claims one of the earliest council housing developments in Britain, now called Dover House Estate as well as one of the largest housing schemes, the Alton, with 2,000 flats on 100 acres. Built by the London County Council in the 1950s, it provided the bleakly dystopian backdrop for Francois Truffaut’s 1966 film adaptation of Ray Bradbury’s Fahrenheit 451. Thirty-two years later English Heritage awarded the scheme status and more recently the estate that still dominates Roehampton has been praised as a fine example of the British Modern Movement – or ‘New Brutalist’ school of architecture – mainly by people who don’t live there. Roehampton library sits at the edge of the estate. Attribution (CC BY-NC-SA 4.0) Graham Smith, Roehampton Library, 2016. The two localities are also dissimilar demographically. Published government statistics, suggest that Putney’s residents are much more likely than Roehampton’s to have been educated to a higher standard and have either retired from or continue to enjoy more secure, interesting and better paid jobs. The same source suggests that the people of Putney are also much more able to defend their public services than those living in Roehampton. Unsurprisingly, in their group interviews, Putney’s readers were keen to discuss their concerns about reductions in their library provision. At the time of the interviews, the Roehampton circle were meeting around a table in the middle of the library, with other readers wandering past. This was an arrangement put to and successfully resisted by Putney’s group and instead their meetings had been relocated to the library staff’s common room. However, it isn’t just occupation and environment that provides contrast between the two adjacent wards. The population of Putney have long enjoyed much better health than those living in Roehampton. By the second decade of the twenty-first century, official statistics were recording significant differences in life expectancy. This amounted to an additional average of 6.8 years of life for females and 8.9 years for males in least deprived areas of Wandsworth compared to the most disadvantaged. Such variances are amongst the widest in London for both men and women, with the two most frequent underlying recorded causes of death in the under 75s being cancer and circulatory disease; mobidity patterns more prevalent amongst the less well off. Little wonder that members of the Roehampton group frequently observed that ‘life’s too short’ to read a novel that cannot hold the reader’s attention; regardless of the praise it might have received from literary critics. See here for a scene from the film set on the Alton (last accessed 8th July 2017). Extracted from the Index of Deprivation are available from the UK Government Website English indices of deprivation 2015 (last accessed 8th July 2017). Wandsworth, Key messages 2014: Health inequality, (last accessed 8th July 2017). It’s a fact familiar to all who know me that I can’t walk past a second hand book sale. There’s something about the promise of worn gems to be discovered that always seems far more intriguing than browsing new books. I recently, found myself in Blakeney, a small village on the North Norfolk coast, which has recently become home to my parents-in-law. Taking a morning stroll down to the harbour I passed by a man tying a hand-written sign at the entrance to a lane. On the cardboard sign, in black marker: ‘Used Book Sale’. Asking what time the sale opened he told me, ‘Well it’s pretty much always open as long as I’ve put it out’. Looking past him down the lane I saw about half a dozen cardboard boxes of books arranged on a couple of trellis tables sitting outside a cottage, alongside a table hosting various jars of jam. 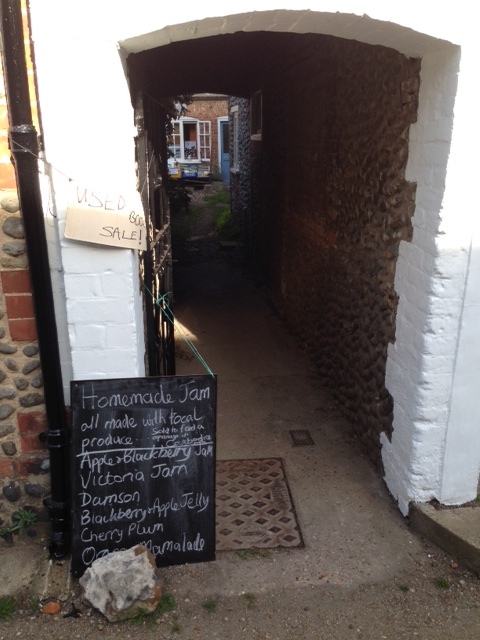 As I wandered down the lane he said, ‘The jams we have to set a price for but for the books just leave whatever you think is a fair donation’. The accomplished second hand book browser becomes adept at sorting the wheat from the chaff. Large hardbacks are generally non-fiction, from Top Gear annuals, to Morris Minor repair books, to Readers Digest gardening almanacs. My business here is fiction, so I turn away from those awkward, oversized boards to the tightly packed boxes of paperbacks; worn, faded spines giving hints as to both decade and genre. It is a scientifically proven fact that no matter the size of a used book sale, there will always be at least one copy of Bridget Jones’s Diary. Here we have two. Plus a copy of the follow-up, Bridget Jones: The Edge of Reason. The second hand devotee also tends towards altruism for other such perusers. I move The Edge of Reason, placing it beside a copy of the original, surmising that someone familiar with the original may then be tempted by the sequel, or that some fan may wish to buy the two together. In my browsing I also spot several other second hand standards: Stephen King, Dean Koontz, Jackie Collins, Maeve Binchy, John Grisham, John le Carré. A relatively recent addition to the used book sale repertoire is, unsurprisingly, Nordic noir. I spot a Henning Mankell and read the blurb. It doesn’t sound like one I have already read. But perhaps I’ve seen an adaptation on TV? I keep the book in my hand and continue browsing. This particular sale has an interesting mix of popular and genre fiction alongside a fair number of canonical authors, including Henry Fielding, Gustave Flaubert and Henry James. I see a slim volume wedged between two paperback heavyweights. Teasing it out I find it to be a short reference to the works of Nietzsche. Now Nietzsche is someone I’ve never been able to read more than a few pages of at a sitting. I figure this intermediary may be able to elucidate for me. And who wouldn’t want an introduction to the works of Nietzche? That’s bound to come in handy. Turning to another box I run my fingers over the spines, sensing as I do the previous readers, the previous browsers. Attempting to pick up titles at random (is there such a thing in the subtle process of book browsing?) I pore over detective fiction, potboilers, romances, fantasy, ‘chick lit’, thrillers, legal dramas. 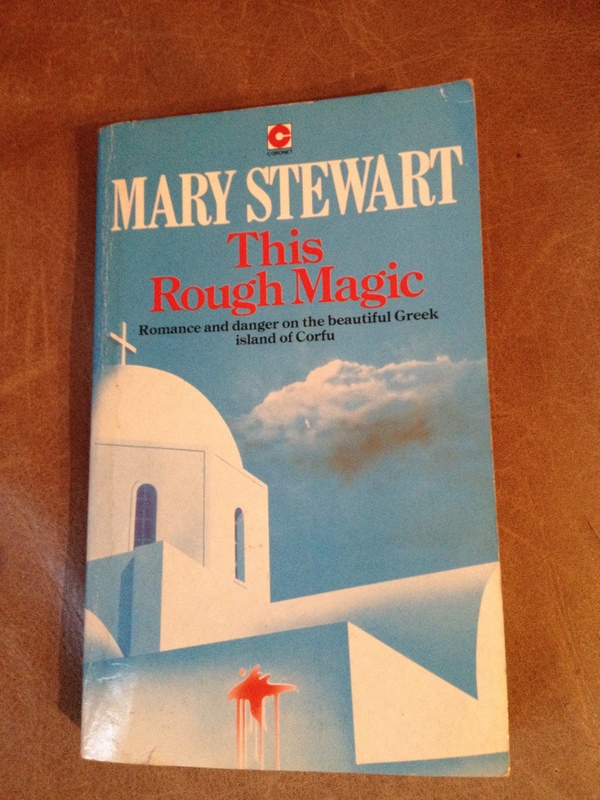 My eye alights on a familiar name: Mary Stewart. With a little thrill of excitement I pick up the book and turn it over in my hands, knowing this is one I have not yet read: This Rough Magic. This 1960s book has been given a 1980s makeover, with a watercolour of bold blue skies and bright white Cypriot domes on the cover. One of the joys of second hand books is their over layering of time, and times past. A reader in 2014 buys a book once owned by a reader in 1988, republished many years after its original publication in 1964. In this way Mary Stewart, and countless other middlebrow authors speak across decades. I consider my haul, pleased with the three books in my hand. Not every book sale gleans such excellent results. The Mary Stewart is without doubt the jewel in the crown. I have been working my way through Stewart’s oeuvre for about a year now. The sense of serendipity imbues this find with special significance. A year ago the name would not have caught my eye. I doubt I would have picked up this book. I briefly muse on how many Mary Stewarts my eye must have skipped over in the past. Of course I could simply go to Amazon and order all the Mary Stewarts I haven’t read. Or pop into Waterstones and buy them in their newly released re-editions. But where’s the fun in that? Where’s the sense of a find? Coronet edition of This Rough Magic, 1988. Photo of author’s copy. The selection amongst these half a dozen boxes is obviously incomparable to even the smallest Waterstones store. But the possibilities somehow seem so much greater. There is no uniformity and – with the exception of good old Bridget – no repetition of titles. So different from the strategically placed stacks of new releases that greet you as walk into a high street bookshop. No ‘Staff Recommendations’ to guide your purchase. Only the subtle codes that lead you to pick up this and ignore that. Only the knowledge that someone, somewhere, has owned these books before. No doubt some have adorned bookshelves unread, until a final insistence on a clear-out propelled them by some means to this random setting down a Norfolk lane. But most bear the scuffs, cracked spines and turned down pages that speak of books held, put down, picked up, read, reread, carted around in handbags, suitcases and backpacks. And perhaps some of them bear the hopes of the owner; that someone, somewhere, perhaps a young woman in Norfolk visiting her in-laws for the weekend, will pick them up, take them home, and read.